When watching a race from the beach or on TV, you usually get good info concerning what happens overall : who is leading as far as the overall race is concerned. You will discover that the leader is not necessarily the best on each part of the race, as we'll see below with FRA-192 leading on 3 steps out of 5, two over guys doing better on 2 of the legs. You wouldn't know that otherwise ! 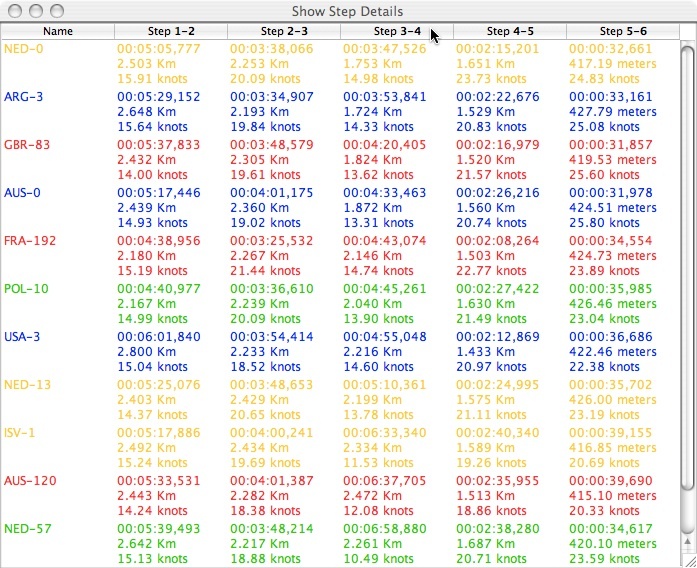 To get the Steps Results table, go to the Regatta menu, and click on "Show Steps Details"
The table appears, and you can sort it according to any step : to do so, click on the column name you want to sort with. Duration : the most important data, providinf the ranking. 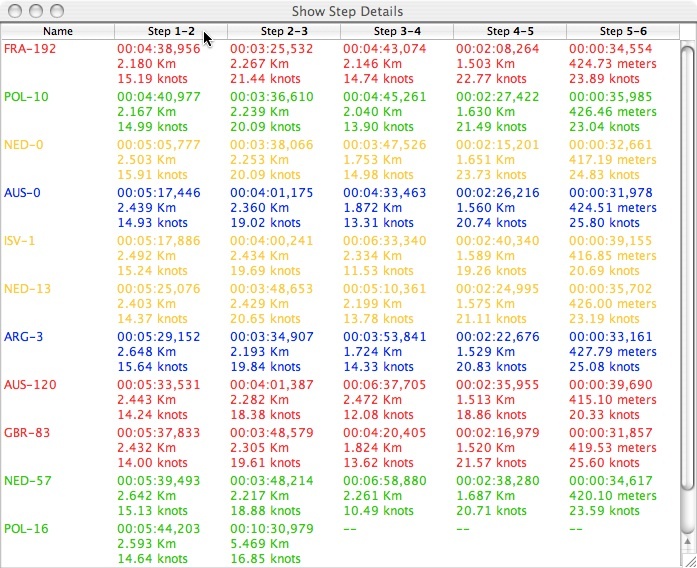 Let's observe the 3'th step, with interesting data : Fra-192, the overall leader, is only 5'th on this step. For what reason (being leader, he didn't get the same wind as others on this section), it's to be analyzed, but what is sure is that others took time back on this section. This tool is very usefull to debrieff a race or any training, and is already used, as far as I know, by some coaches in Italy, Australia, and France.